I need to clear out this end of the flowerbed. But oh well. Mulch on sale for $2.00 a bag at The Home Depot. Got eight bags for me and five for my wife’s grandparents. Remulched my flowerbeds and mowed the yard. I’m tired. 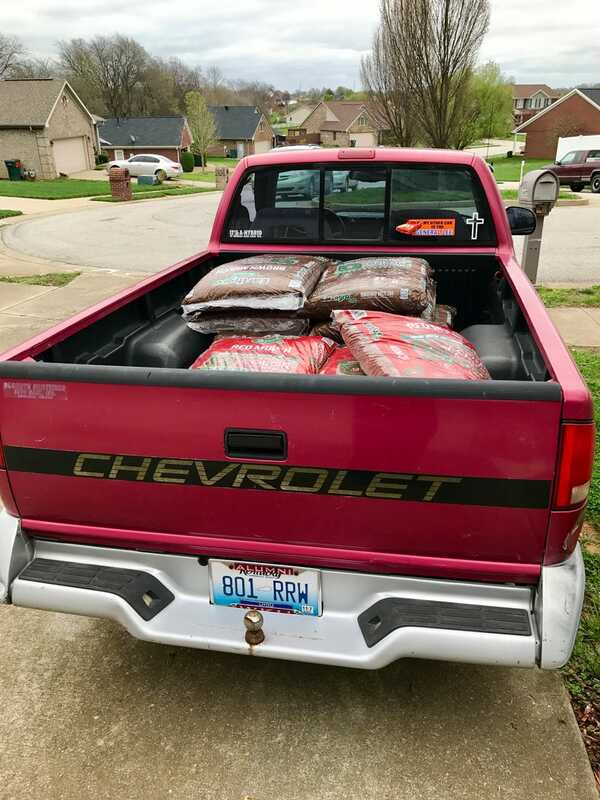 Also, the S10 gets a little squirrelly when hitting bumps at 70 on the highway with thirteen bags of mulch in the bed.